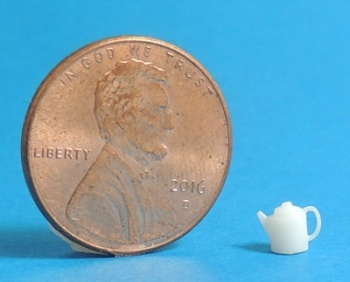 You won't believe the detail in our new 3D printed teapot collection in 1/4 scale. These darling little pots measure between 4 and 4/5 mm. Lots of darling little shapes to choose from. Comes in bright white opaque finish, so these are ready to display, but can also be decorated or painted to your liking.